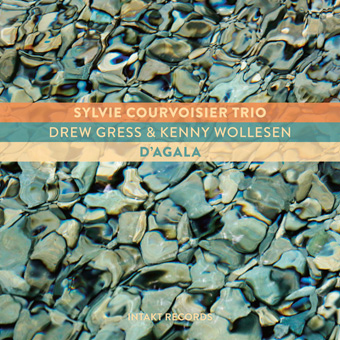 Pianist Sylvie Courvoisier’s experimental trio with bassist Drew Gress and drummer Kenny Wollesen is a rhythm section first and foremost. The excellent D’Agala opens with “Imprint Double,” during which a firmly percussive triplet ostinato becomes polyrhythmic—first under Courvoisier’s guidance and then with Gress and Wollesen’s entrance. It sets the tone for the album: a wonderland of piano-trio surrealism that is nonetheless grounded in rhythmic earthiness. That rhythmic outline anchors what is otherwise often bursting with fanciful experimentation. Given even the tightest framework—here, probably “Bourgeois’ Spider”—Courvoisier and Wollesen skirt anarchy’s edge, sending out barrages that are somehow both loose and unshakably aligned to the song’s groove. On the beautiful “South Side Rules,” Wollesen runs away with a breakneck line while Gress and Courvoisier keep the even keel, the piano bursting at regular intervals into steely, controlled melody. 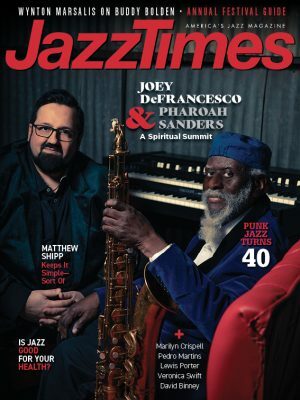 That accomplishment is trickier than it sounds, even with a bassist’s help, and one of many impressive stunts on a formidable record. Preview, buy or download songs from the album D’Agala by the Sylvie Courvoisier Trio on iTunes.